A cozy brown sweater with a nice V-neck – it also has a very slight red stitching detail that runs on a diagonal from neck to armpit. It first appears in Houses of the Holy (2x13). Sam wears it from when he enters the hotel room to find Dean enjoying the magic fingers, until after they find the body in the basement of the dead guy’s house. 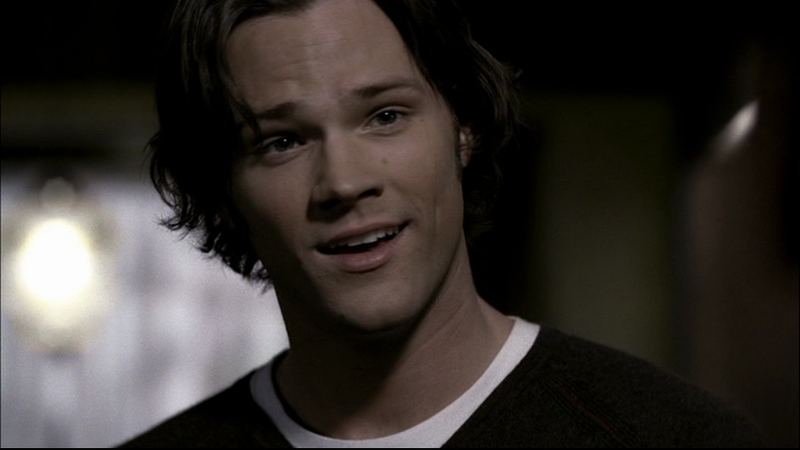 In Heart (2x17), Sam wears it from the beginning of the episode until after Dean kills Glen. In Red Sky At Morning (3x06), Sam is wearing this shirt at the end of the episode as they pack up and Bella comes by to pay them for their services. In Hunteri Heroici (8x08), we see Sam wearing this shirt in a flashback to the day that Amelia’s father came for dinner. 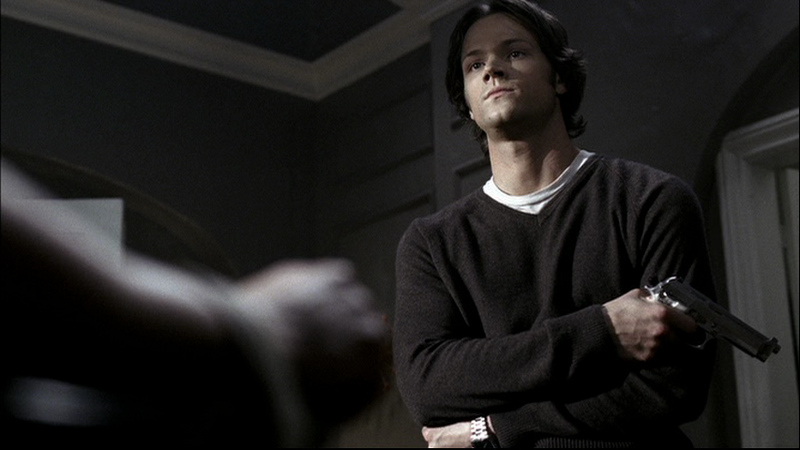 In Blade Runners (9x16), Sam is wearing this sweater at the beginning of the episode when Dean is trying to get in touch with Crowley. 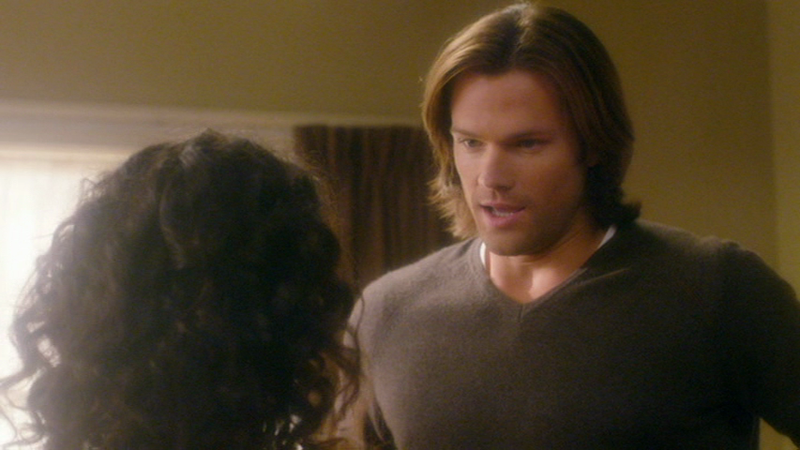 I always like seeing Sam return to something from he normal/nerdier college wardrobe.